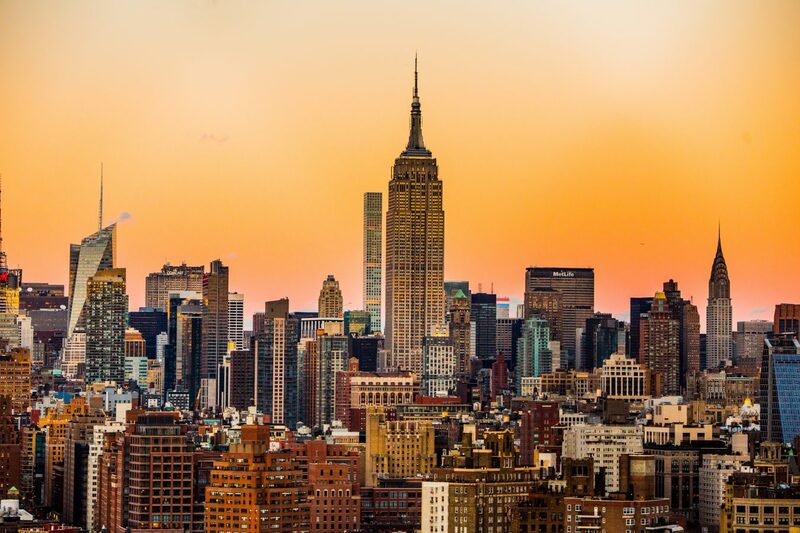 New York, New York (So Good They Named It Twice). The Big Apple packs in enough things to do and see for a lifetime, but what if you only have the weekend? Even if you’re just in town for a long weekend, our guide to 48 hours in Midtown will help you experience it the right way — like a New Yorker. You don’t have to go far for an authentic New York meal. Settle in to a plush leather banquette and order our exclusive, three-course $30 prix fixe dinner for guests-only. Bonus points: every meal comes with a side of classic views of Lexington Avenue. Look up “tried and true” in the dictionary and you’ll find P.J. Clarke’s. Established in 1884, the bar and restaurant has played host throughout the years to a star-studded cast of guests. Where else can you get a beer and burger where Frank Sinatra, Buddy Holly, and Nat King Cole ate before you? Grand Central Terminal has it all: shopping, dining, and history. Swing by Café Grumpy for a delicious and socially-responsible cup of coffee, then gaze up at the terminal’s famous and elaborately-decorated astronomical ceiling by French artist Paul César Helleu. Any real New Yorker will tell you: the terminal is magic in the early morning hours, before the crowds arrive. It’s hard to pick the absolute best bagel in New York. Ess-a-Bagel comes close. Their jumbo kosher bagels, paired with seemingly endless toppings, have been on offer in this classic Midtown spot for decades. In spite of its proximity to tourist hot-spot Times Square, Bryant Park is a bucolic space in the very heart of the city where locals go for a brief escape. The grassy square, bordered on all sides by towering skyscrapers, is a great spot to enjoy a popular, oversized cookie from nearby Culture Espresso. While tourists head to Rockefeller Center for the city views from The Top of the Rock, the locals get in and out for shopping and dining. Skip the observation deck and head up to Bar SixtyFive. Located on the 65th floor of the tower, 10-foot-high windows offer 30-mile views in all directions, plus some of the best cocktails in Midtown. Catch a glimpse of Times Square on your way to Restaurant Row. The Crossroads of the World is packed with chain restaurants, but head directly west of Times Square and you’ll find some of the most authentic restaurants in New York. Don’t miss Barbetta, the oldest Italian restaurant in New York, or the popular rolls from Sushi Seki. The only thing better than a great cocktail bar close to the hotel is bringing the cocktail bar to your hotel suite. After a full day in the city, return to your Central, Master, or Penthouse suite where in-room spa products and craft cocktails are the perfect way to relax and unwind for your last day in New York. Popular with the locals, this little café serves up strong espresso and an Australian-inspired brekkie. The Smash (avocado toast) is one of the most popular dishes, but a Pick Me Up (omelet sandwich with tabasco, tomatoes, and caramelized onions) to start your day is highly recommended. Whether you’re just window shopping or filling a new suitcase to bring home with you, Bloomingdale’s 59th Street is one of the city’s iconic department stores. Shop everything from apparel, accessories, and cosmetics to furniture and home goods. End your stay in Midtown with a visit to The Museum of Modern Art. In addition to its renowned permanent collection, MoMA presents special exhibitions that are often among the best tickets in town. Don’t miss Constantin Brancusi Sculpture (through June 15). Ready to experience Midtown like a New Yorker? Become a Hotel 48LEX Insider to enjoy up to 15% off, complimentary European breakfast, premium WiFI, and much more.